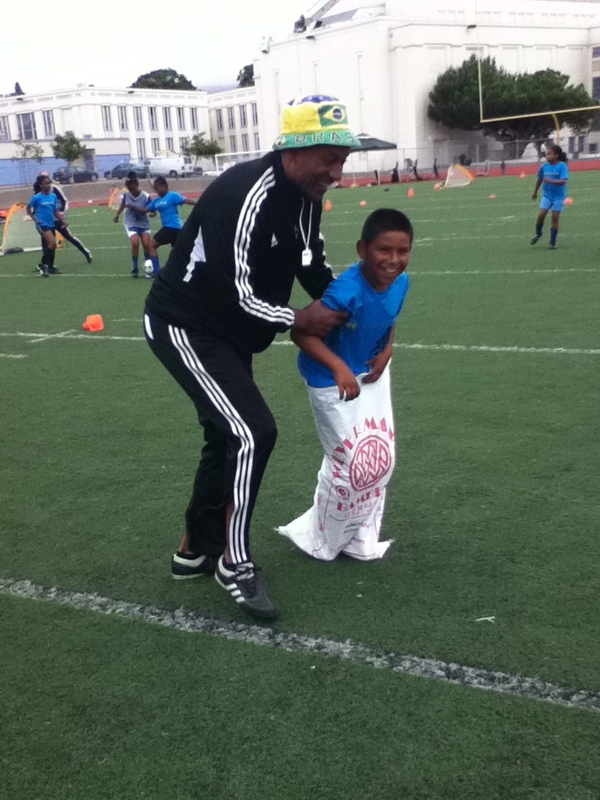 My Yute Soccer's vision is enabled through its FREE soccer camps and Teen Mentor program. We highly recommend that you read our FAQs. This is the foundation and philosophical approach of My Yute. It’s a method of play that ensures that all children get a chance to participate, and encourages the development of sportsmanship, character and equality. So... what is One Love Chip? Small 4 on 4 teams play for 7 minutes. The first team to score stays on the pitch while the other team changes over to the next team. If neither team scores during the timed game, two new fresh teams come on. Everyone wants the chance to win, to stay on as long as possible. My Yute gives everyone a chance. Coming from diverse cultural and socio-economic backgrounds, the role of the My Yute coaching staff is to “pass the ball." In order to achieve this, coaches transmit their knowledge and experience to the young campers and mentors. 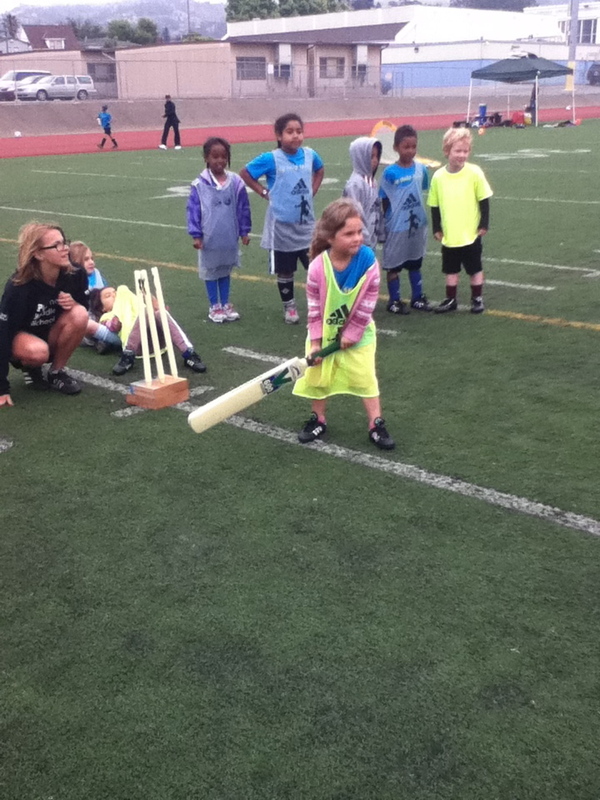 These coaches use their shared love of the game as a key ingredient of the My Yute success. No matter how they played as children, from scrappy street soccer to organized leagues, each coach has embraced the My Yute methodology as an important way to “pass” on their life experiences. Did you know that Pele first used a grapefruit to play soccer? Or, that a defensive angle is acute? And, how DOES a steel pan play? That’s what a camper learns at MYS. 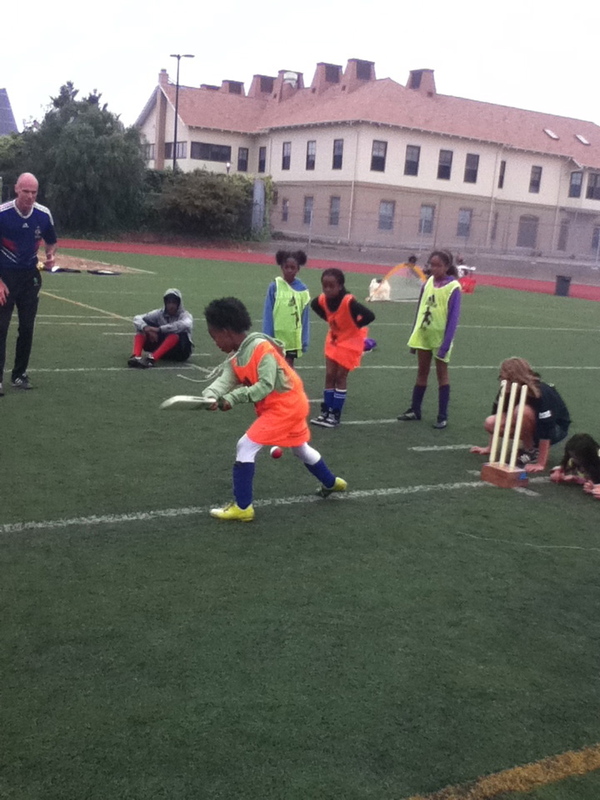 Guest educators, performers, and champion athletes round out the soccer camp each year. Sprouts Cooking Club is an organization dedicated to teaching Bay Area children from all socio-economic backgrounds how to cook hands-on, with real chefs, using real ingredients, in real restaurants whenever possible. In 2012 My Yute Soccer campers had the incredible opportunity to join the Sprouts Cooking Club to prepare a healthy post-soccer meal. "Just how much fat is in an order of large fries?" Throughout the years, My Yute campers are invited to enjoy a special closing day lunch, put on by the founders and special supporters. After a full workout on the soccer pitch, campers are invited to come through the buffet line and taste fresh fruits and vegetables, and a fun local food theme. We keep it fresh, healthy, local, and hopefully bring new tastes and experiences to the campers. 2008 - MYS' inaugural camp featured Bake Sale Betty. What a surprise when the Bake Sale Betty crew arrived in chef coats carrying boxes of their famous sandwiches and cookies! 2009 - What camper doesn't like pizza? And, local pizza from Arizmendi no less! Although this fresh and healthy pizza doesn't look quite like what the kids are used to, we still heard "mmmm .. this pizza's good!" 2010 - La Gourmande catering made its MYS debut, with Chef Polly Legendre (our MYS Board Secretary) preparing a healthy meal for the entire camp! 2011 - El Taco Bike of Tamarindo fame, pedaled into camp on the final day with tacos. La Gourmande catering prepared fresh fruits and vegetable, like a lime, jicama and tomato salad to top it off. All the kids finished the lunch off with a tasty fruit treat from Jamba Juice. 2012 - Fist of Flour Pizza, Whole Foods Oakland, Jamba Juice and La Gourmande catering came out to wow the campers with wood oven fired pizzas, fresh salads, fruits and super refreshing fruit smoothies for dessert. 2013 - DOG! As in a healthy hot dog… special sausages created by Mr. Niemann himself, came hot off the truck this year and were served alongside healthy salads all supported by Whole Foods Oakland. During the 2013 camp, the Northern California Tennis Association came to My Yute Soccer camp to teach the campers about tennis. The transformed part of the pitch into makeshift tennis courts and brought out the rackets. Jamba Juice - Bringing it since 2011! On the last day of camp, after our healthy community lunch, campers have been able to find the (natural) sweet spot thanks to participation of our local Jamba Juice! Thanks to them, we are showing the kids delicious can be healthy. Asheba got all the kids to "Pass the Ball"
On the closing day of the 2013 camp, Asheba came to camp and played for the children. My Yute campers were invited to share the microphone and to create new lyrics with him. Engaging and above all, FUN! Thanks Asheba! Many of our original campers are included in this group coached by Glenn Van Straatum and Michael Lee. Veterans of the MYS camp, they share a bond that will last for years to come. And yes, you notice one girl in this particular group, footballing just as well as the boys! My Yute supporters got MYS camps off to a roaring start down at the Linden Street Brewery back in 2008. A large community came out to show support with good food, beer and amazing t-shirts to boot. This spirited event has developed into what is now known as the annual Jamaican Jerk Cook-Off. MYS goes to Peru Again! With support from MYS and a round trip airfare donated by Bocanova Restaurant, Lena, one of the My Yute volunteer coaches, returned to Peru. Aligned with the Mission & Vision of My Yute Soccer, Lena’s efforts represent the camaraderie and values MYS coaches and campers are developing and sharing each year. My Yute Soccer President & Founder hosts a MYS mini camp for the inaugural Umoja African Festival and Suru Soccer Tournament. The yearly Jamaican Jerk Cook Off Benefit Fundraiser for MYS has something for everyone in the family! The MYS community attends our events as party-goers and often form an important part of our volunteer team.